Start planning your events now. – Chatsworth Road Festival. Start planning your events now. Last month I revealed the theme for the 2012 Festival and I hope that you’ve been mulling over ideas because this month we release the events forms. Last year we were a bit short of time for organising and planning: you may remember. Compiling the listings for the Festival events was a large task which was done in a hurry but this year we’ve promised Paul Chapman that it will be an easier job for him. Just to remind you all, we would like people in groups, businesses, societies, schools or churches to organise special events around the theme: the world on our doorstep. Last year we were happy to have a few specially organised events for the Festival with a large range of ‘this happens all the time but did you know about it’ listings. 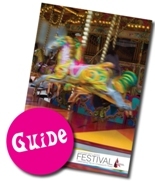 For 2012 the Festival Guide will list only the events that have been specially organised for the Festival. As we have said before, we don’t organise events – you do. This is your chance to add something special to Chatsworth Road & the surrounding area. People have begun to chat to us about their ideas for the 2012 Festival: some following on from last year and some brand new. If I was to give any advice, it’s to find a group of like-minded people to plan an event – it’s more fun and spreads the load. Finally, the events forms can be downloaded from 2012 event form. A limited number of forms will be available from St Thomas’ Centre, Created Gallery & JMJ Pottery. We have the same tiny budget as last year so please try to download your form as it saves on our printing costs. Of course, if you’d like to sponsor the Festival…. I’m listening! If you would like offer your help in any way, please contact me or Paul Chapman. Paul’s contact details are at the front of S40 Local and I can be reached through Created Gallery or by email info@createdgallery. Meanwhile you can follow us on Twitter (@chatsrdfestival), find us on Facebook (Chatsworth Road Festival) or follow our blog (www.chatsworthroadfestival.wordpress.com). This entry was posted in news updates, Uncategorized and tagged events form 2012, planning an event. Bookmark the permalink.